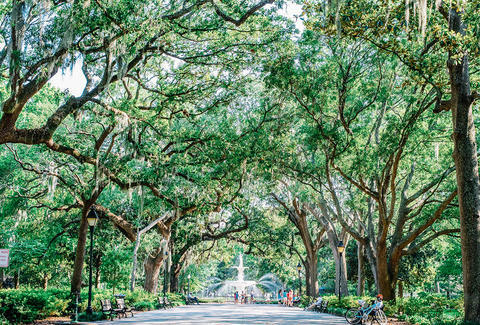 Take a breather from walking along the cobblestoned streets and learning about the stunning coastal city of Savannah with its most prestigious Southern eats. 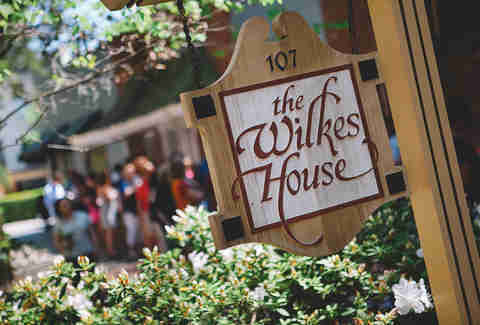 Mrs. Wilkes’ Dining Room is comforting Southern food at its best in a homestyle setting that, yes, really is the dining room from The Wilkes House, a boarding house run for the better part of a century by Ms. Selma Wilkes. Expect long lines (in fact, they’re part of the experience) but know it’s worth the wait for all the meatloaf, cabbage, black eyed-peas, and collard greens you can eat. Just be ready to sit down with strangers and stand up with friends. Minutes away from the family attraction of Stone Mountain Park -- a state park featuring an 825-foot quartz dome mountain, surrounded by biking and hiking trails -- this pizzeria features massive calzones stuffed with your toppings of choice, filling salads, and beers on tap. But the real get for a hungry visitor just off a day on the trails is the scrumptious, garlicky, soft-baked pretzels that make this eatery's menu famous all on its own. This Columbus bar that pegs itself as “a place to celebrate,” is beloved for its jazz tunes. 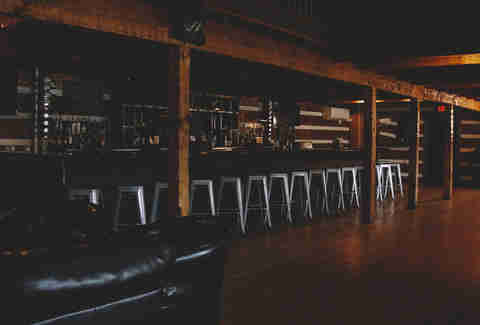 Live music is featured three times a week at The Loft on Wednesday, Friday, and Saturday evenings, and on Thursday evenings, a comedy act graces the stage. But it’s not all about entertainment; the huge portions of tasty food are the big draw here, with particular favorites being the goat cheese burger, unstuffed chicken, and the full pound ribeye steak, all of which pair with the excellent creole crab cake as your appetizer. Just beyond the city of Atlanta is a special international food wonderland. Buford Highway’s ethnic diversity yields scores of cuisines begging to be tasted: Savor the roti canai at Penang Malaysian restaurant, the huge portions of sumptuous broth at the Vietnamese Pho Dai Loi 2, the comforting Korean noodles at Sokongdong Tofu House, and too many enticing Mexican options to list. Has there ever been a bad place with “Grandma” in the name? No. So go to Las Delicias de la Abuela for some ace Colombian food. As for Cambodian, you could spend a week just sampling the best options in the area, so come hungry (and early) to work your way through a few of them. End your food crawl by singing the night away among friends in private karaoke rooms at Karaoke Melody for hourly rates. If you’re somehow still hungry, a limited food menu is available there, too. In a town known for being the stomping grounds of the annual Masters golf tournaments, The Indian Queen remains a watering hole before tourists siphon through and long after the competition is gone. Rustic vibes are king here as this bar is housed in a log cabin-style bar space. Sip a drink of your choosing, and ponder just how many golf greats have passed some time in the very seat where you’re relaxing. Because this gem is outside the metro Atlanta area in the Gwinnett County suburb of Lilburn, its praise often goes unsung. It's both a wine bar and restaurant with American-style dishes, and its three owners wanted a neighborhood gathering spot for the folks of Lilburn. Weekly wine tastings are held on Wednesday evenings. 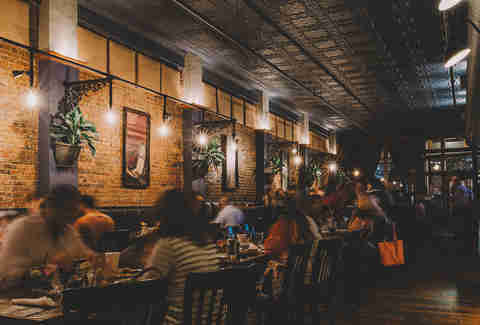 To savor this spot like a local, order their cast-iron skillet roasted sea scallops or their fried chicken served with garlicky turnip greens, mashed potatoes, and gravy on the side. 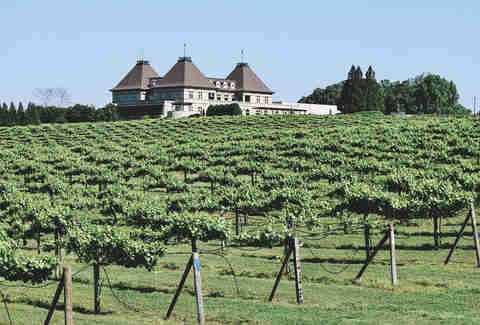 Yes, Georgia has its own little selection of wineries in the North Georgia mountainous area, including Montaluce Winery & Restaurant, Wolf Mountain Vineyards, and Three Sisters Vineyards & Winery. Make a day trip out of it, or even a long weekend, tasting the bounty of what Georgia grapes have to offer. Need somewhere to stay? Montaluce not only has an award-winning restaurant on site, but four Tuscan-style villas overlooking the vineyards available to be rented. A fruit harvest is the perfect way to spend a weekend, and you’ve got a long calendar stretch of options at the Southern Belle Farm. 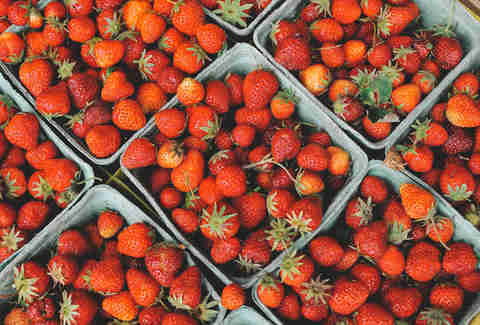 This family-run tract south of Atlanta in Henry County’s McDonough features strawberry picking in the spring as well as a fall festival complete with hidden mazes, a pumpkin patch, and fall-themed sweet treats. Even many locals don't know that right in the metro Atlanta area there is one of the most diverse refugee communities in the city of Clarkston. Global Village Project, a nonprofit organization founded in 2009, created a special purpose school for middle school-aged girl refugees who’ve had an interruption in their schooling. Girls attend the school at no additional cost. Annually in the fall, Global Village hosts a community walk along a 4.8-mile path between Clarkston and the city of Decatur to raise funds. Rummage through someone's garbage and you’re soon to find a treasure in this suburban city brimming with antique shops and finds. A little known fact is that Chamblee’s Antique Row is the largest, and possibly the kitschiest, antique collection in the southeast. 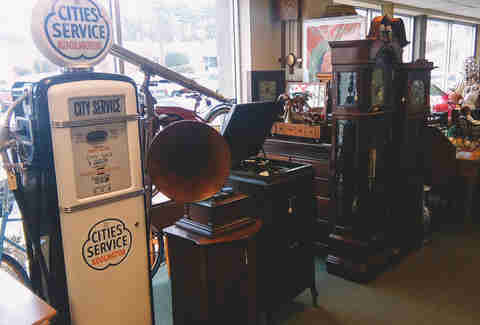 As it is designed, antique enthusiasts can roam from store to store along historic Chamblee. More than 200 antique dealers are featured in the stores, including Consignment Furniture Depot, Rust ‘N Dust Antiques, Atlanta Vintage Books, and much more. One of Emory University’s most hallowed annual traditions, Dooley’s Week is a special time of year. Typically during the month of April, the school unofficial mascot manifests around campus to usher in a week full of fun, including live performances, comedy shows, and even a ball held in Doole’s honor. You can go white water rafting a lot of places, but there’s nothing like doing it in Georgia. Take your pick from floating against the Ocoee River in northern Georgia or numerous spots along the 430-mile-long Chattahoochee River, a river starting at the Blue Ridge Mountains and crossing through Atlanta, which Georgians affectionately call The Hooch. For a wealth of floating options, go with Shoot the Hooch in Roswell, smack dab on the river, where your mode of transport can be a raft, tube, canoe, kayak, or stand-up paddleboard. If you want a more intense experience, head to Columbus instead, where Whitewater Express will safely guide you through Class IV rapids. 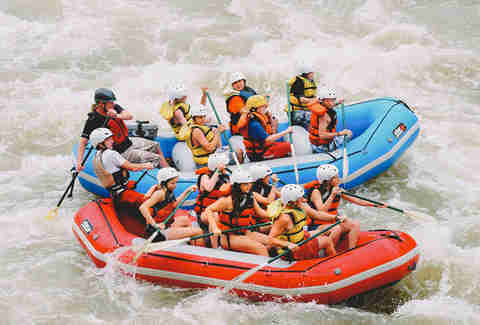 Though only one-fourth the length, the Ocoee offers similar Class III and IV thrills, so best to visit it with the experts at Ocoee Rafting, the body’s oldest rafting guides, with six Georgia locations. 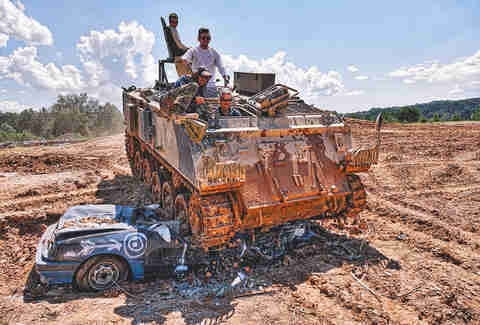 Ever dreamed of driving a tank? Here’s you chance with Tank Town USA. Located six miles outside of Blue Ridge and a hop, skip, and jump away from the north Georgia mountainous area, make your fantasy of driving a tank -- and crushing cars to smithereens -- come true. Rides are offered on Saturday and Sunday from April through November on a reservation-only basis. 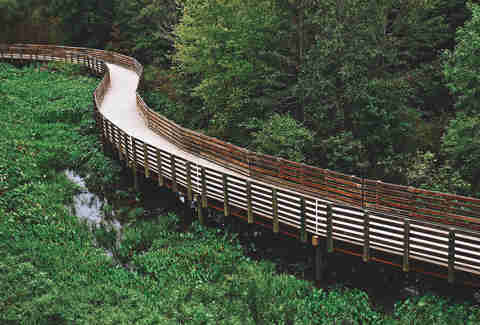 For nature lovers looking to combine exercise with getting deep breaths of fresh air, head to the Silver Comet Trail in Smyrna, roughly 13 miles northwest of Atlanta, that runs all the way to Central Alabama. Bike, skate, run, or walk through any portion of the 61.5 mile path free of charge. Horses and dog walkers are welcome. The path is also wheelchair accessible. It’s truly a trail for all Georgians to share. Hawkinsville is the heart of rural Georgia and also the home of the glow worm. These earthworms have a special quality like none other: the ability to secrete a blue-tinged color and glow in the dark. You can catch your own glow worm through a process called grunting: staking a hammer into the soil and making it vibrate. The worms will surface for collection, and you’ve got everything you need to go night-fishing.